Sergi Martínez Rigol is since 2015 the Director of International and Students Service Area at the University of Barcelona, a position from which he is responsible for coordinating and leading the strategic issue of employability. Previously, he has been the Rector’s Delegate for International Projects and Summer Activities (2009-2011). He received a PhD in Geography in 2000, and since then he teaches as an adjunct lecturer at the Department of Geography. 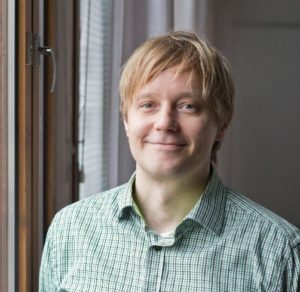 Janne Loikkanen works in Career Services for two universities (Turku and Åbo) as planning officer and career councelor. His work’s main focus is in student employability, which includes e.g. sending students to internships, student career counceling and overall strategic planning of career activities in a Career Services team. He holds a Master in Social Sciences and a bachelor’s degree in Service Management. There is increased concern in European universities – also expressed by stakeholders – that graduates should be well prepared for a rapidly changing and evolving society and employment market. Growing emphasis on the generic and entrepreneurial competences and lifelong learning abilities required of the highly qualified critical citizen of the 21st century have led our universities to include programmes for the acquisition of these skills during and alongside degree programmes in all three cycles. The global nature of our society underlines the added value of international network cooperation in this area of university activity, avoiding narrow calls to respond short-term needs and responding to the deeper educational mission of our universities. Coimbra platform International Traineeships – Faced with the impossibility of creating a platform for international traineeships, a website hosted on the Coimbra Group page has been created to provide information on the international traineeships offers at the member universities, as well as the career offices detail contacts in order to provide information and help international students in case is required. Coimbra Employability Staff Training Week – The organization of an annual Staff Training Week for career services staff of member universities has as the main aim to allow the staff of career services to acquire knowledge or specific know-how from experiences and good practices abroad as well as practical skills relevant to their current job and their professional development. The first experience was in Pavia, from October 4 to 7, 2016. ICard – Once the ICard project (http://www.icard-project.eu) has finished, the Coimbra universities that have participated have proceeded to the dissemination of the conclusions and the analysis of the possibilities of adopting the tools used for the training in competences by the rest of the members. The ICard project develops a European Career Development Programme (ECDP) that provides university students with personalized and systematic guidance and individual support, helping them realise their potential, abilities, competencies, skills and ambitions and build their career path. PhD – The actions that are carried out regarding the employability of doctoral students are being analyzed together with the Doctoral Studies Working Group. The final aim will be the development of a specific program for employability of doctoral students, as an increasing part of them do not access the academic world and go to the labor market. Digitalisation – Digital skills are becoming one of the most important skills required by employers from graduates. At the same time, the delivery of services and the management of the career services are increasingly using digital means. The group has started to collect information about how the career centers use digital tools to reach students and deliver services, and also about the already existing programs focused on digital skills, with the aim of exploring the possibilities of applying EU-funding for a digitalisation project. University Career Centre Model – The group has started a process of information collection among all the members through a questionnaire regarding career services, the services that they provide and their structure. The aim is to have a map/catalog of the various careers services and develop a model of university career service.